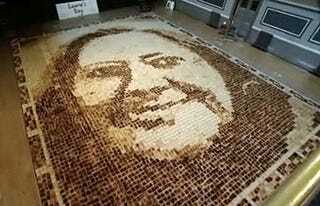 For the woman who has everything, what better birthday gift than a giant portrait made entirely of toast? That's what museum curator Laura Handland made for her beloved mother-in-law this year. It set a world record for, uh...toast stuff.